5.4 Earthquake hits near the north coast of Chile. 5.4 Earthquake hits the northern Pacific Ocean. 5.4 Earthquake hits the Volcano Islands, Japan region. 5.1 Earthquake hits Luzon in the Philippines. 4.9 Earthquake hits the northern Indian Ocean. Major typhoon Jelawet bore down on Japan’s main island on Sunday, with winds gusting up to 180 kilometers per hour and heavy rains that threatened to disrupt the Tokyo area. 104 people across five prefectures were injured in various incidents. It also said that 158,000 homes were without power as of midafternoon. Dozens of trains were suspended Sunday in coastal areas around Tokyo, and some 300 domestic flights were to be grounded throughout the day. The storm hit the southernmost main island of Okinawa on Saturday, where it left more than 50 people injured, and more than 300,000 homes without power. 5.5 Earthquake hits near the coast of Guerrero, Mexico. 5.3 Earthquake hits the Nicobar Islands, off India. 5.1 Earthquake hits the Virgin Islands region. More than 6,500 German children and teenagers have fallen ill with diarrhoea and vomiting that health authorities say has likely been caused by a food-borne virus in meals delivered to schools and daycare centres. Youngsters from five of Germany’s 16 states had been affected by the acute gastroenteritis. Wildfires ravage Sicily between Palermo and Messina. Resilient Tropical Storm Nadine again becomes a hurricane in the Atlantic, circling toward the Azores. In the eastern Pacific, Super Typhoon Jelawat is closing in on Okinawa, Japan. 422 people have been killed and nearly 3,000 have been injured during the season of heavy monsoon rains in Pakistan. About five million people have been affected by the resulting floods. Six people, including a young girl and an elderly woman, have died in floods that overturned cars and forced hundreds from their homes in southern Spain. At least 600 people had to be evacuated from their homes in the Andalusia province. A weak tornado touched down in western Pennsylvania, USA yesterday. Little damage. A tornado swept through a fair ground in Gandia, a town in southern Spain, knocking down a Ferris wheel and injuring 35 people. 6.0 Earthquake hits the Solomon Islands. 4.9 Earthquake hits off the east coast of Honshu, Japan. Seven Britons were among 19 people killed when a plane heading for the Everest region crashed in Nepal’s capital. The Sita Air plane came down minutes after taking-off from Kathmandu for Lukla. 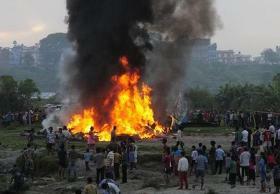 The aircraft crashed into a river bank and caught fire. This week’s hottest temperature was 114.4 degrees Fahrenheit (45.8 degrees Celsius) at Mecca, Saudi Arabia. This week’s coldest temperature was minus 97.8 degrees Fahrenheit (minus 72.1 degrees Celsius) at the U.S. Amundsen-Scott South Pole Station. Health officials in Japan report that contamination from last year’s Fukushima nuclear disaster appears to be waning, but some foods produced or collected in the disaster zone remain unsafe to eat. 6.9 Earthquake hits the Andreanof Islands near the tip of the Aleutian Island chain off Alaska. No tsunami or damage has been reported, although there is a watch for larger than usual waves. 5.0 Earthquake hits the Kermedec Island region. Two massive quakes off Indonesia’s Sumatra island in April showed something scientists have long been trying to prove – that large earthquakes can trigger a swarm of more tremors around the globe. The latest findings could eventually help efforts to predict some earthquakes. Over the six days after the quakes hit on April 11, the number of tremors of magnitude greater than 5.5 jumped nearly five-fold globally. “This is the first time that we’ve seen these remote aftershocks at this magnitude and to this extent,” said Kerry Sieh, director of the Earth Observatory of Singapore, author of a number of studies on earthquake hazards in the Sumatra region. The first quake on April 11 was 8.7 magnitude, nearly as large as the one which triggered a massive tsunami and nuclear disaster in eastern Japan just over a year earlier. The second one was also huge, at 8.2. Both occurred under the Indian Ocean several hundred kilometres west of Sumatra, in a zone where the Indo-Australian tectonic plate is slowly tearing itself apart. 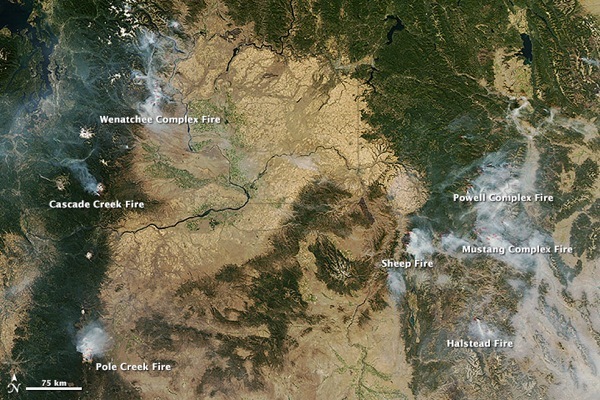 Some 35 large wildfires blistered parts of the Western United States Wednesday. The recent drought in Texas, USA killed 301 million trees. The latest count was determined after a three-month, on-the-ground study of hundreds of forested plots, as well as satellite imagery from before and after the drought. Syphilis outbreak in Houston and Harris County, Texas, USA. From January to August this year, there were 318 cases. Houston’s last syphilis outbreak occurred in 2007. Syphilis begins with a raised sore. Three weeks later, that goes away and a rash begins and after that, it can go internal, but still affects the brain, heart and skin. It is easily cured with a single shot of penicillin. 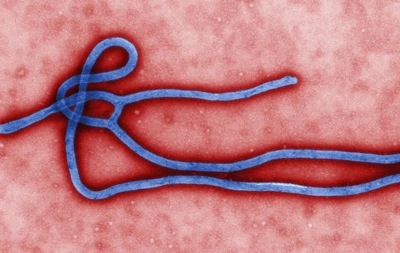 Ebola virus outbreak in DR Congo continues. A total of 79 cases had been recorded, including 19 confirmed positive after laboratory analysis, 32 probable cases and 28 suspected cases, while 33 deaths were registered by September 25. The disease is transmitted by direct contact with blood, faeces and sweat, by sexual contact and by unprotected handling of contaminated corpses. There is no known cure. Currently, 167 people who have been in contact with the 79 reported cases are under surveillance. Another 400 West Nile cases have been reported in U.S. during the past week according to the CDC.